At Hanover Supply in New Jersey we like to stay on top of new plumbing tools as they make their way into the marketplace. 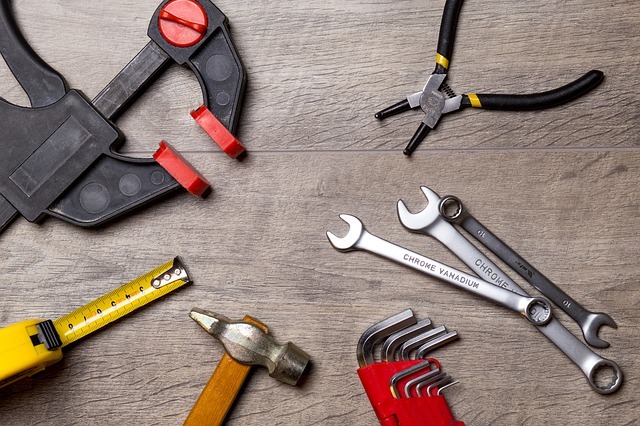 In this article we are looking at several new plumbing tools on the market for those of you who either work in trade or are engaged in a DIY plumbing project. Our selection of new plumbing tools and supplies is unmatched anywhere in New Jersey. The right combination of hand and power tools help plumbing projects go smoothly with less effort (see our article on common plumbing mistakes). The very best tools simplify the number of tools necessary to get a job done. Introduced at the end of 2017 Ryobi’s new cordless tool can unclog pipes through power supplied by either corded electricity or 18V Ryobi battery packs. Every plumber has basic basin wrenches. This one has a bit more than the hinged steel models but are the additional features worth the price? This Ridgid telescoping basin wrench has a telescoping design that goes from 12” to 17” in length allowing for comfortable positioning no matter how tall or difficult to access the sink is. It also has an integrated LED light powered by two CR button cell-style batteries. The integrated T-handle, while adequate for most work, can be pulled off and replaced by a number of Ridgid handles or a 3/8” ratchet making it a well designed, flexible tool great for things like stuck fittings. This is a great hand tool for dealing with smaller hex nuts and bolts that a bigger pipe wrench is too cumbersome to handle. The Proferred Adjustable Plumbing Wrench is great for tight spots as it is thinner, deeper and shorter than normal wrenches. It turns what could be a difficult job with the wrong tool into a much easier one. New wrenches don’t usually cause a stir, but this one could. It has more jaw capacity – depth and width – than ones similarly sized. The thin head can access tight spaces. Increment markings are accurate, the worm screw is smooth and the parts fit tightly together. It is quite simply a great hand tool that gets used at some point on most jobs. Whatever your needs, large or small, we have the solution, and tons of new plumbing tools. Drop by or call us today.